One night…just a few friends how could it go so wrong? That was the question seventeen year old Charlie Myers was asking when she found herself in the ER. Outwardly nothing was wrong with Charlie, she was a vision of perfect heath, internally she was battling a raging headache…one the doctor told her she would overcome shortly, but Charlie knew something else was wrong …very wrong. Part of her had been stolen….she was missing memories. Those memories were sacred. They held the key to her sanity. They told her that the sinister whispers, the shadows that came to life before her were not as ominous as she felt they were. They held the bond with her late father, a famed musician. They caused her to forget the one talent that allowed her to face the darkness that haunted her every waking hour. They also masked a much deeper bond, the face of the one that had stolen her heart, long before the age of seventeen. Sitting in the ER with her angry mother she couldn’t figure out what she missing – or even how. Her thoughts told her that she needed to protect Britain, a friend of hers, but that didn’t make any sense – Britain didn’t need to be protected from anyone, he was strong, young, and absurdly wealthy. Charlie also knew that even though her friend Bianca called Charlie her best friend that she didn’t trust her ….she was almost sure she despised her, but she couldn’t figure out why – or understand how random thoughts were telling her that she adored both Britain and Bianca – that they were her saviors – that they brought silence to the unstoppable whispers….but the silence scared Charlie. In her mind anyone or anything that could bring silence to something that dark could not be good. Charlie wanted to stay in NY, figure out what she was missing, why, and who was behind it all, but her mother had other plans. Against her will, Charlie was sent to Salem to live with her sister….within that small town Charlie found her memories….and so much more. 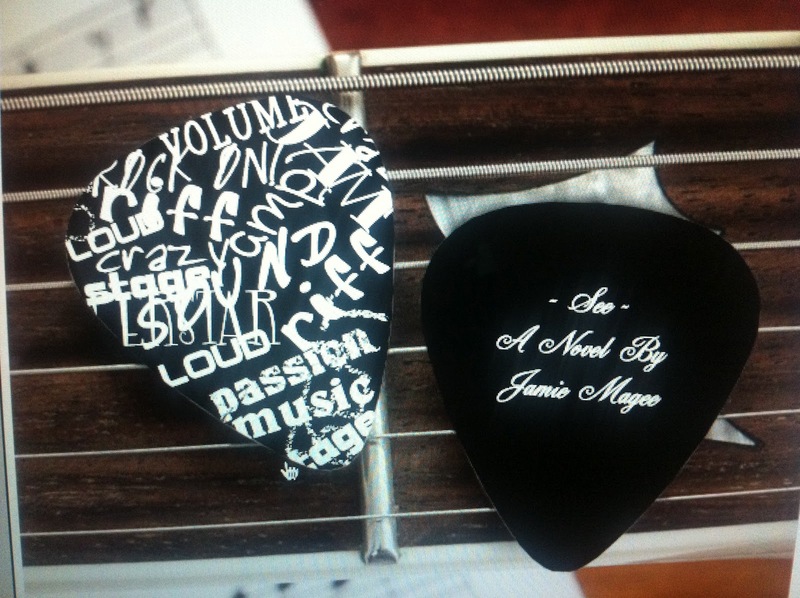 Jamie Magee gives you stories that jump off the page and straight into your heart somehow managing to bring forward emotions mixed with drama and suspense that you feel to your bone. I’m amazed when I finish the book and I look up and have to blink a few times to come back to where I am. See was one of her top books for me. Magee drops you right in the middle of chaos and you’re desperately wanting to know what’s going on that you are gripping the book (or ereader) so hard. Magee forms unbreakable connections with her characters. I love the horoscope/astrological basis for her books. Soul mates destined to come together based on the alignment of the planets and time. I get good chills when I read Magee’s books. Our Charlie has lost something very important – her memories – and she knows they contain something very important. As Magee takes you through the confusion Charlie is dealing with, you are able to meet her old friends for the first time just as she has to do again. You can feel her emotions unfold. Music is Charlie’s only way to release, she’s never realized how important one particular song could be. As a music lover (home alone with my kids and the TV’s off and the Radio is on shuffle) I thought Magee’s concept had me feeling right at home in this book. If you have not had the pleasure of reading her Insight series (3 books to date) you need to add it to your pile, and then make sure you grab See as there is a little linkage with this series and the Insight series (but you do not have to read Insight before See). I’m hoping for some very interesting things to unfold in the coming book 2 and the See series and book 4 and 5 in the Insight series (book 4 out in October). Magee brings in some of our characters from Insight as Charlie is working to learn her past. Magee says book 2 will be out here soon (July), I’m on pins and needles waiting to “SEE” where Charlie goes. 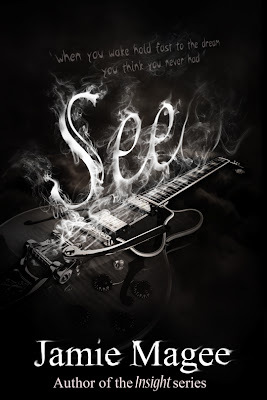 Jamie is also combining all the comments from all the blogs on the tour to give away a printed/signed copy of SEE and Insight (her debut) along with bookmarks and picks (we love swag) - as well as a 25$ amazon gift card!!!!! WOW!!! The more you comment, the more chances to win on her big prize. We have a listing of all the blogs participating below. ALSO, you get a bonus entry if you follow Jamie Magee's blog and find her on facebook "like" her page and tell her Seduced by Books sent you. Wow, I would love to read this book! Sounds amazing! Thanks for the chance to win! New Follower of your blog and Magee's! oops forgot to leave my email! This review made my heart sing! Thank you so much!!!! This book sounds amazing, cannot wait to read it!! I'm your new follower from Sassy Books Lovers.